Full information for A big thank you from all of us at Moreton Dental Care for helping us to keep helping our patients in a very regulatory world! testimonial. A big thank you from all of us at Moreton Dental Care for helping us to keep helping our patients in a very regulatory world! 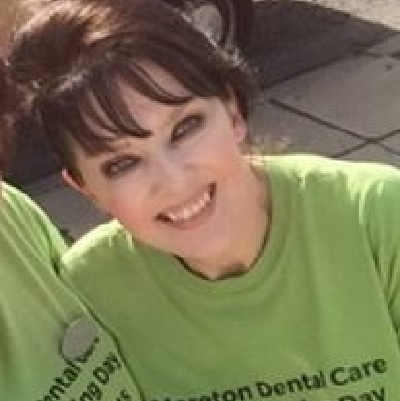 In 2014 I became Practice Administrator at Moreton Dental Care, a busy predominantly private dental practice based on The Wirral Peninsula. This is my first role within dentistry. A massive career change as all my experience since leaving school had been in the Financial Services industry. My last position was company director within a Financial Planning Company. Dentistry, being a caring profession is poles apart from Financial Services however training, protocol and the need for Continuing Professional Development have been ingrained deep within me from early on and these core values are very relevant in both professions. Moreton Dental Care already had access to ProDental CPD in its previous format and this was used in a limited way. I started speaking to the very knowledgeable Kathy Rogers at Prodental in July 2015. She informed me about the changes to their online learning portal. It became very clear that ProDental’s new offering would be of benefit to all the clinicians and nurses at Moreton Dental Care. I administer the group membership and find the ProDental CPD online learning centre very easy to navigate around. I can add new members to the scheme at the touch of a button and make any changes to membership as and when required. All members of the group are shown on a matrix and I can view any activity that they participate in – all core CPD is covered and many more modules of particular interest and specialisms are available with new ones being researched, updated and added regularly. I encourage the staff in regular staff meetings to use ProDental CPD whenever they have time and I can follow up their progress to ensure that all core areas of CPD are completed. Staff report to me that they love the fact that core CPD is easily and readily available to them and whilst online learning does not entirely replace other more hands on CPD sessions this is a wonderful addition and a great benefit to their continuing learning. If I have any queries, or indeed any members of the Moreton Dental Care team need assistance the support provided by ProDental CPD is exemplary and hugely efficient. All that remains is a big thank you from all of us at Moreton Dental Care for helping us to keep helping our patients in a very regulatory world!